Do you wish to buy or invest in plots in noida extension and noida expressway. We are dealing in plots of all kinds in noida extension( greater noida west) and yamuna expressway. We have plots of varied sizes available for residential and commercial purpose in noida extension and noida expressway. 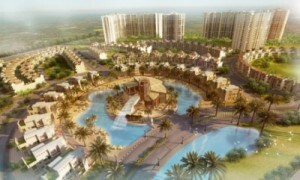 Do not wait the plots in noida expressway and noida extension are in high demand and a great investment for the future. The rates of residential and commercial plots will only go up from here in times to come so now is the best time to take a wise decision and invest in your own plot. Freehold plots for sale in noida expressway and noida extension contact us now for best deals. Real Estate Giants like Jaypee are offering plots in noida expressway. Jaypee Krown Plots are available sizes of 153 Sq Yards & 207 Sq Yards . The prices are 18000 sq yards but for early bookings their is a huge discount. The plots are located in prime location close to budh circuit formula 1 racing track. These plots are 40-45 kms from south delhi. Supertech Up Country has announced residential plots which is ideally located and well connected to public utilities.The project comprises of Plots, Villas, Castles and High Rise apartments, integrated township, area of approx 100 acres available in different sizes. The plots are in compliance with vastu. Oris Curio City is also a project which one can look forward for investing in plots. The project encompasses 200 acres of land. It imples a few minutes drive from akshardham temple.